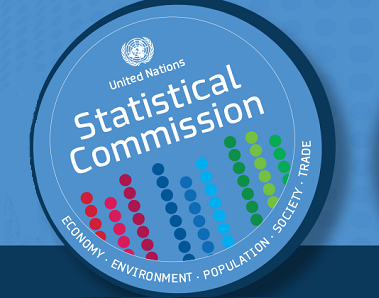 The United Nations Statistics Division (UNSD), the United Nations Conference on Trade and Development (UNCTAD), the International Telecommunication Union (ITU) and the Statistical Office of the Republic of Korea (Statistics Korea) in cooperation with the Partnership on Measuring ICT for Development are organizing an International Seminar on Information and Communication Technology Statistics. .The Seminar takes place at the half-way point between the Tunis phase of the WSIS and 2015, when the United Nations General Assembly will review progress towards achieving the WSIS targets, in line with the MDGs. As such, this Seminar presents a timely opportunity for statistical agencies and other relevant stakeholders to discuss new developments, trends and challenges related to ICT statistics. The Seminar will in particular facilitate the exchange of experiences and discuss progress on:• ICT statistics and policy making; • Measuring the Information Society, including: (1) New developments in mobile and broadband communication technology, (2) Measuring household ICT access and individual use, (3) Measurement issues related to households ICT surveys; • Measuring the Information Economy, including: (1) Measuring the evolving ICT sector, (2) Measuring ICT use by businesses, (3) Measurement issues related to surveys on ICT use in enterprises.